Mkomazi National Park – Bordering the Tsavo West National Park of Kenya the Mkomazi National Park is set below the slopes of the ancient Eastern Arc Mountain ranges of Usambara and Pare. Recently acquired the status of a fully gazzeted National Park Mkomazi covers an area of 3245 square kilometers and is situated about 112 kilometers from the Foot hills of Mount Kilimanjaro town of Moshi. The parks name Mkomazi is a Pare tribe word for a scoop of water and the park is now a very important wildlife are despite of its small size, thanks to the conservation efforts that have seen the introduction of the two most endangered species; the Black Rhino and the African Wild dogs. 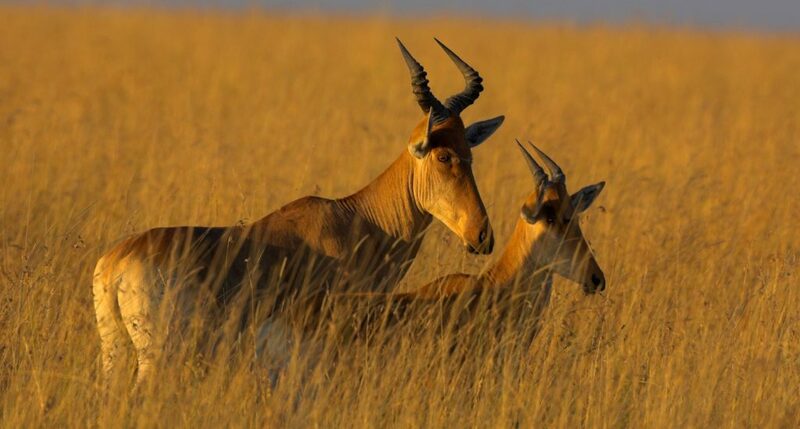 Other animals that easily migrate from and to Tsavo National Park of Kenya includes; the fringe eared Oryx, the long necked gerenuk, the lesser kudu, giraffe, hartebeest, eland, , zebra, elephant, and buffalos. Mkomazi has also fast become a birders haven with 450 species of birds having been spotted, among them the cobalt chested vulturine guinea fowl, yellow throated spur fowl , other large ground birds such as ostriches, secretary bird, kori bustards, ground hornbill and some other migratory birds including the Eurasian rollers. Mkomazi can be easily done as a day trip from Moshi and Arusha but also can be included on longer safari itineraries with overnights in this gem.